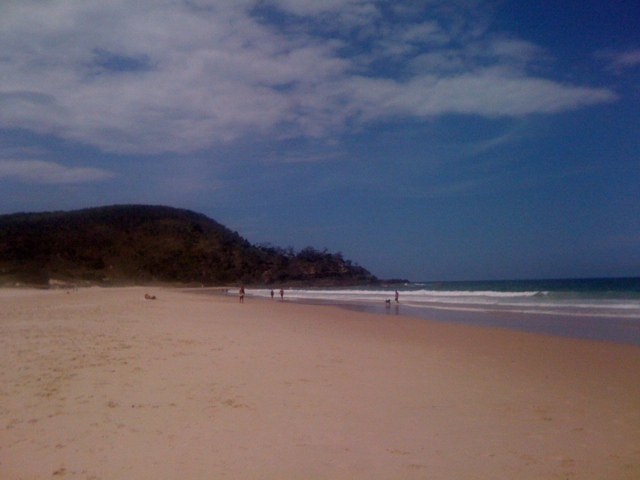 Today I moved on from Rainbow beach to Noosa. I was only on the bus for a couple hours which was a bit disappointing really, I have got used to riding the buses down the coast now and enjoy the time to read and watch the movies. I decided to go with Premier as they are a local company and are about $100 less than Greyhound. They play movies on longer journeys which I love as they’ve all been really good so far! My mum gave me some money for toiletries so when I got off the bus at Noosa I ran to the Coles and treated myself to what I’d call ‘basics’ at home, but expenses here, I spent $50 on toiletries! I felt extremely clean after a long shower though! I have just got back from a walk through the national park, it was along the coastline and beautiful but there was a nudist beach which I had NOT been warned about! 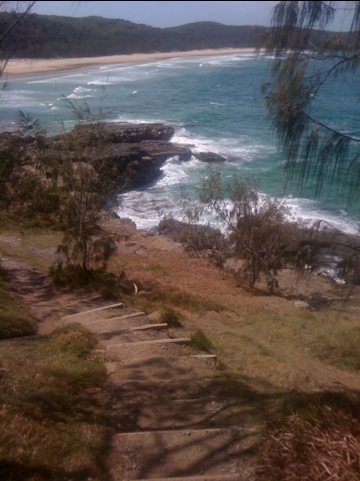 A local also warned me about going for walks on my own, snakes, sunstroke, murderers and rapists, apparently there has been 3 rapes and 1 murder in the last 20 years in Noosa. I’m not sure he’s seen the stats for London lately! Anyway it was all good, I got back safe and sound and I saw a wild koala too, only a baby, another local also taught me how to communicate with the koalas!!! Hehe! The hostel I’m in at the moment is nice, quiet and chilled so just sitting around outside in comfy chairs and hammocks reading. The 2 girls I met on the Fraser trip are here tonight so had a chat with them but not really met anyone else. Lots of people lately have been german or been in twos so it’s harder to speak to people then.